I love Mexico!! So I was excited to hear that a good friend of mine, L, has just booked a trip to Mexico and has asked me for advice. I thought it might be interesting to post my ideas here, so that others can improve on my suggestions! L is going to Cancun for Spring break where he is going to spend 8 nights. He then has 12 nights remaining. His only requirement is that he wants to spend the last few nights at a beach destination. He is happy to catch a plane one way. My top picks for each of these? The Mayan pyramid in Chichen Itza Mexico. It is hard to look past some of the best ruins in Mexico which are also easy to reach from Cancun. Chichen Itza was once one of the leading Mayan city states. At its peak, 50,000 people lived here. Today, many ruins remain. In addition to big pyramids, like El Castillo above, you can see many carvings, buildings and columns. It is a big site, and it is very interesting to walk around it. It is possible to do day tours from many places in the Yucatan, or you can just catch a local bus here. 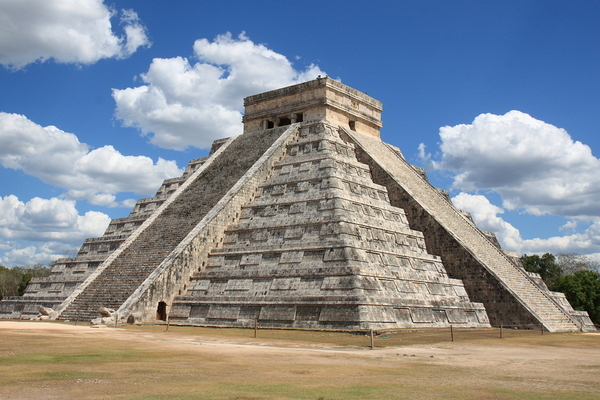 I recommend basing yourself in Valladolid and visiting Chichen Itza from here. Valladolid is a lovely little town to chill out in, eat well and visit a cenote, another popular attraction in this part of the world. Palenque is one of my favourite Mayan ruins to visit. I love the jungle setting and, unlike Chichen Itza, you can climb over many of the ruins. They are mostly from the 7th and 8th century and it is amazing getting to explore them all. It is also easy to visit these ruins. Many buses go through Palenque. You can do a day trip from San Cristobal or visit on your way through. The last time we went, we stayed in the town of Palenque. Not the most fascinating of places, but it is nice enough and a good place to break up your journey. There are also many other Mayan ruins in this area, but Palenque and Chichen Itza are the big two. I also visited the ruins in Tulum. These were nice for their beach setting, but aren’t comparable to Palenque and Chichen Itza. 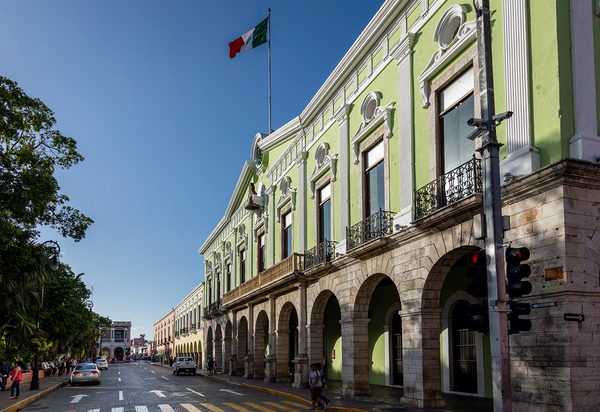 Merida is the capital of the Yucatan state and the largest city in the area. It is has one of the largest historical districts in the Americas and is a great place to wander around, with most of the buildings from the 18th and 19th centuries. This is an easy central place to get to and from with lots of accommodation options. Campeche is located on the gulf coast side of the Yucatan peninsula. It is the state capital of the state of Campeche. Campeche is a pretty, colourful city to walk around. It still has well preserved old colonial Spanish walls which are a UNESCO world heritage site. It is another great city to explore and easy to reach from Merida. My favourite pick for colonial cities in this part of the world is San Cristobal de las Casas. This city is not located on the Yucatan peninsula, but it is easy to get here from Palenque. It is in the mountains, so it is much cooler than the other places listed. It has retained far more of its Mayan heritage and there are many Mayan people around, many in traditional dress. It is a pretty city, the perfect size for walking around. There are also some interesting day trips, such as to Chimula where the people still practice some interesting beliefs, such as sacrificing chickens in their church and thinking coke is sacred! It is a lovely place to visit and worth the effort if you can fit it in. There are, of course, other options, but you would have to go a bit further. 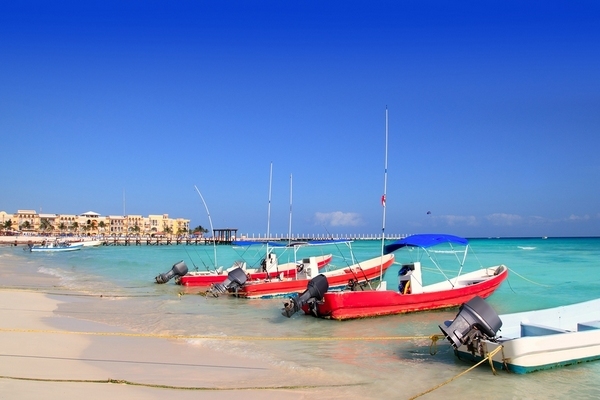 A short ferry ride from Playa del Carmen is the island of Cozumel. A bit further down the coast are the towns of Akumel and Tulum. My main complaint about Tulum is that the town is a bit removed from the beach. I haven’t been to Akumel or Cozumel. Perhaps some readers can give L a review of these places. I have two sample itineraries – a longer one and a shorter one! I prefer the longer one, but it depends if you are happy trying to get from San Cristobal to Playa del Carmen. I originally imagined a flight, but it seems that all flights go via Mexico City which is annoying. On the shorter itinerary, I have added Cozumel. I would love others’ opinions as to whether this is the right choice or not. Imagine another flag at Playa del Carmen as well – I wasn’t sure how to add this without adding a road journey in. Pros: You get to see lots of interesting places. I personally love Palenque and San Cristobal. Cons: You need to fly back from San Cristobal which does not seem to be a straight forward thing to do. You could also catch a bus, but it will be a long ride. Pros: More time in each place, less rushed. 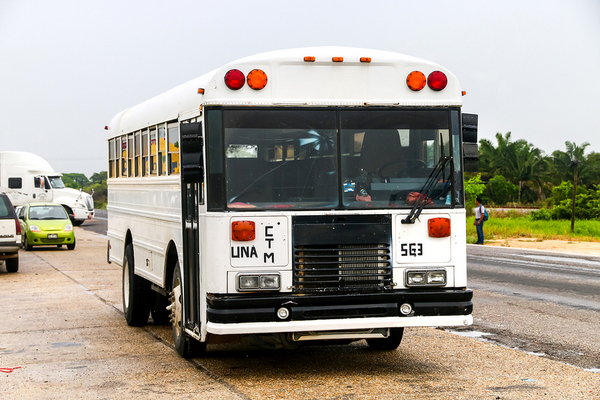 Mexico has an excellent bus system and there are some high quality buses between major places. The ADO website is a good one to check out for bus timetables, durations and prices. Something to take note of is that it will be very hot at this time of year. We actually did the first suggested itinerary in reverse in May one year, and it was very hot outside of San Cristobal. This meant there were lots of midday siestas. L doesn’t have children, but for anyone who is thinking about travelling in Mexico with kids, I would definitely do either of these itineraries with kids, but I would want to add a few days to the first one, to take it a bit slower, and I would definitely want more relaxing beach time at the end. If you are heading to Cancun, you may also be interested in our guide to the best family resorts in Cancun. I have been, but I have pinned this if I ever do go as it sounds FAB. Try to go at some point!! Mexico is just awesome. We love it! I love Mexico too and these look like great itineraries. We absolutely loved San Cristobal and stayed a couple of nights there – a highlight was taking a tour out to some of the local villages and really getting an insight into rural Mexican life. We loved the ruins at Palenque but that was all I liked about the place (got badly ripped off by a taxi driver here!!) so I would say not to stay here personally. But one of my all time favourite places was the chilled out surf town of Puerto Escondido which may be too far for your friends (although there is an airport there)…this place is like a little piece of heaven and we just totally fell in love with it. I haven’t been to Puerto Escondido, but I did go to Mazunte along that coast – just lovely!! Probably a bit far from this trip, but definitely a lovely place to go for people in this area. Mexico is just full of gorgeous places. Can I get you to plan our Mexico itinerary? haha jkjk! We only went to Cancun for 4 days so unfortunately I’m short of suggestions though I’d love to go back and see more! In Cancun my favorite thing was Isla Mujeres and now you can snorkel in that underwater museum statue thing! Playa Carmen looks gorrrrrgeous, I have a friend who lives there and even I’m jealous seeing his photos! Sounds like some great activities! 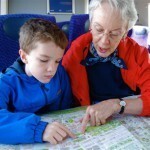 Always happy to help people plan travel! We would both love to visit South America, and I’ve been toying more and more with the idea over the past six months. I suspect we won’t make it for a couple of years yet, but you’ve certainly increased our chances with this enticing post. Mexico is amazing. I was surprised the first time I went there, as I expected some dodgy, not that great place, but I was so wrong. I blame Hollywood! There is just a small slice of Mexico. I actually prefer the silver cities ringing Mexico City. Thanks Sharon….That’s awesome! Will definitely be having a killer time in mexico. We’ve been to all the places you mention, although on different occasions, and are happy to confirm Mexico is one of the most underrated destinations in the world. We did the Yucatan a couple of years ago, and recently spent nearly 6 months meandering from Mexico City to Chiapas – food was delicious, transportation easy and affordable, culture was fascinating and the people remarkably welcoming. 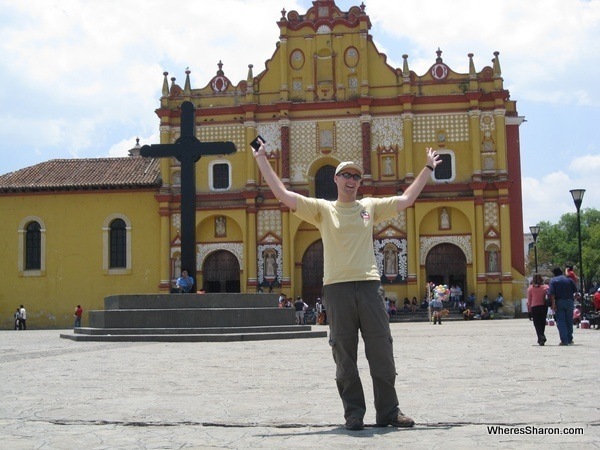 I’d definitely go with the longer route, but that’s because we loved San Cristóbal de las Casas so much… Great job! Happy 2014! Oh wow 6 months would have been awesome, I’m very jealous!! It sounds like San Cristobal is a winner – take note, L! What was your favourite beach place on the Yucatan? 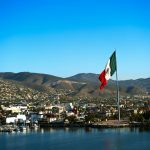 What a great list of things to do in Mexico! I have never been there before and I appreciate you introducing me to several travel options! Hopefully someday I will get to explore Mexico and all it has to offer! We are hoping to spend some time in Mexico either this year or next – thanks for the great ideas! It’s such a shame that the country has been painted in such a negative light lately as there are so many beautiful, lesser-known, little towns to visit! Yay, its a great place to spend some time! We were tempted to go back there yet again on our current trip, it is just so nice!! But it is also nice to explore new places. We will be back again soon enough. I’ve never been to Mexico, but if I ever go, this sounds like a great itinerary with plenty of options to follow! I’ve never been to Mexico. . . but I would absolutely love to go to Palenque and Chichen Itza! I’ve considered going to Mexico and Central America just to check out the ruins. The ruins are amazing!! My absolute favourite is Tikal in Guatemala, but Palenque and Chichen Itza are amazing too. I love Mexico. Reading this make me want to go back. 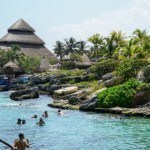 I would add Xel-Ha park to your itinerary. I liked Tulum ruins for the scenery (the beach below is just amazing; but then so many of the beaches in Yucatan are). Mexicooooo! I’ve (Jempi) only been in Mexico City when I was 18 (a very long time ago). Nina has visited Cancun a couple a years ago. Reading this makes us wanna go soon…very soon 🙂 Cheers, Jempi & Nina. Lots of great suggestions there…. Sadly I have only spent a day in Mexico, would love to go back and explore properly! I’ve never been to Mexico, but I really want to. I feel like it’s one of the most underrated destinations and we don’t hear about it that much. These look like great itineraries! Great list! I’ll keep it handy. Haven’t made it to that part of Mexico and it’s been bothering me…so yay for ideas! This is great and Playa is of course amazing! For something a little different (and it sounds like they are up for an adventure) you might want to consider sending them to Isla Mujeres. Lucky you! I love Palenque and Misol Ha is very pretty. Enjoy! Heading to Mexico in a few weeks. Thanks for the suggestions! Thanks for sharing this! Just what I was hoping to see. I’ve heard the beach at PDC can be a bit stinky (sewage??) at times. Did you notice if it was polluted? No, I did not experience any pollution. We were in the main tourist part and it was in 2008, so things may have changed. Woow great photos the best one of Chichen Itza temple. Did you know that there is Merida as well in Spain?